Just because you need some cool comfort for your Wednesday, here's a gem from Vince. The laid-back outdoor Kruger 2 Shearling-Lined Sneaker is that errand-running, day on the town sneaker that takes someone possessing a casual outlook with hi-brow sensibilities to pull off. 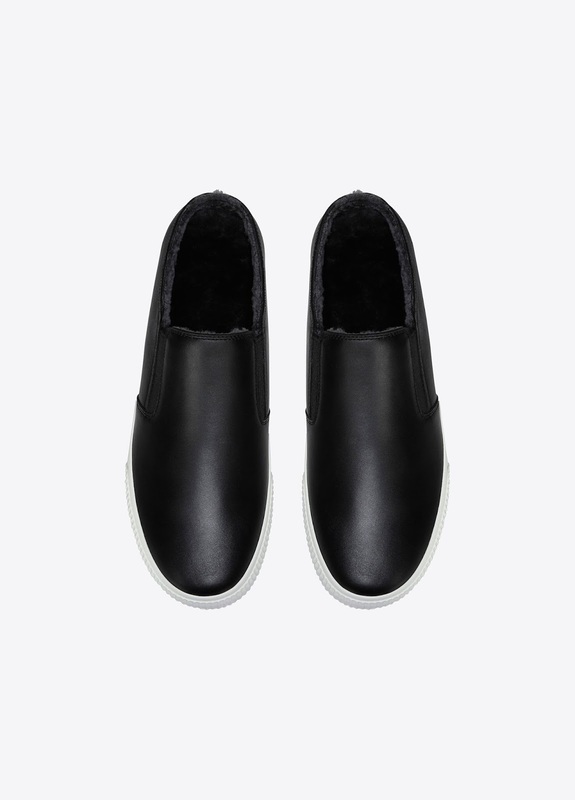 The outside is crisp premium black leather while the inside is fully lined in soft black lamb shearling with a slip-on slipper style. The whole deal is set onto a sturdy white rubber sole for a great contrast. I love the whimsy of something tailored for cold weather but also approached like it warm out. You may too. The Kruger 2 is available now at Vince.com.